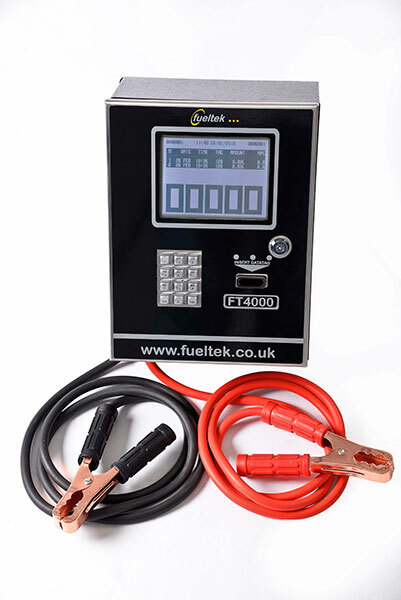 The FT4000 is a simple yet sophisticated fuel management system, designed to interface with your existing fuel pumps and provide complete control for commercial transport organisations dispensing fuel to authorised vehicles onsite. 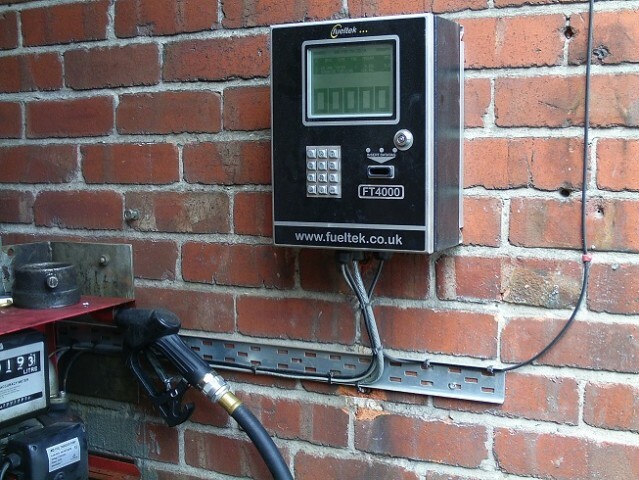 The FT4000 comprises hardware and software, the hardware is a highly specified Fuel Access Control Terminal (FACT) designed to be installed at the fuelling location. 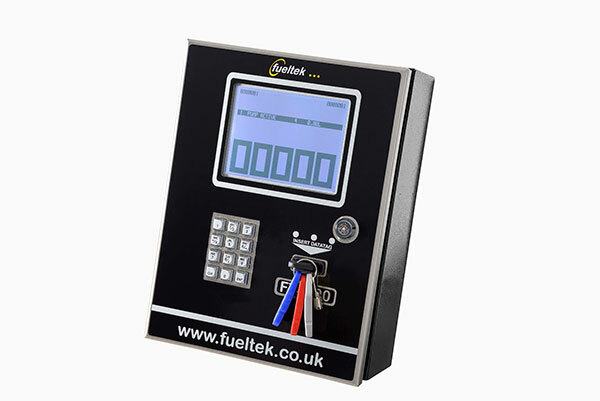 The FT4000 communicates with FUELTEK FMO Browser based software, which is accessible from any location with internet access. 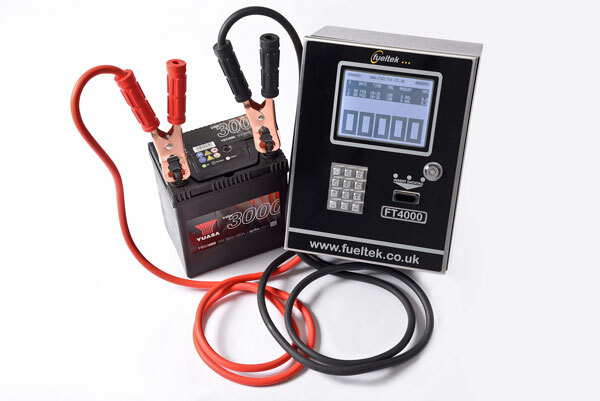 The FT4000 can use any of the Fueltek access methods available. The FT4000 is capable of up to four pump simultaneous operation. The FT4000 system incorporates a robust heavy duty keypad which enables odometer readings, driver ID’s, fleet numbers, job codes etc. to be entered at the point of fuelling. The FT4000 can be specified with keypad options including Full alpha Numeric, multiple choice alpha numeric ( old style text messaging) or simply numeric. The FT4000 system incorporates a highly visible ¼ VGA back- lit graphics display which displays clear concise messages, to complete the user interface we use our extremely reliable Datatag reader or one of the other options available including Datadisk, Datacard or Magnetic Stripe card. The FT4000 is available in either pedestal mounted or wall mounted options. The FT4000 incorporates vehicle / driver messaging. 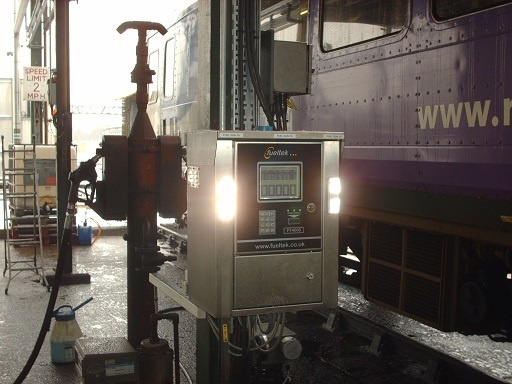 A message can be programmed at FUELTEK FMO can be sent to the FACT. The next time the relevant Datatag is used at the FACT a message will be displayed. The FT4000 system has the capability to provide unlimited storage capacity for look up tables, fleet lists and transaction storage, the system offers a minimum primary memory capacity of 2,000 transactions between downloads, these are stored in non-volatile memory that does not require a battery back-up, which, means even in the event of a mains power fail the system will retain all data. The primary memory can be upgraded to store a larger number of transactions if required. 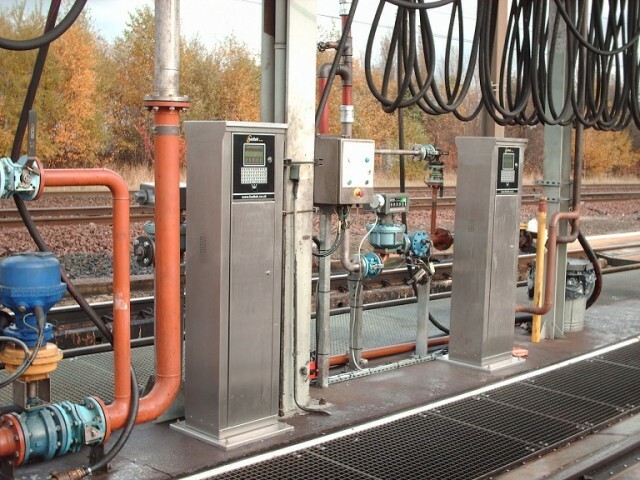 The FT4000 system offers choices of access method. Datatag , Datadisk, Datacard or Mag Stripe card. The Datatag is our preferred method and is guaranteed for the life of system. The Datatag we manufacture is a read/write tag, incorporating high security authentication using a cryptographic algorithmand a guaranteed 100,000 read/write cycles minimum. Dataretention is 10 years minimum. The advantages of the Datatag are that there are no moving parts maintenance is therefore low, saving costs in the long term on the upkeep of the system. Datatags supplied are guaranteed for the life of the system. The datatag is a read/write device and can be programmed with many operating parameters. 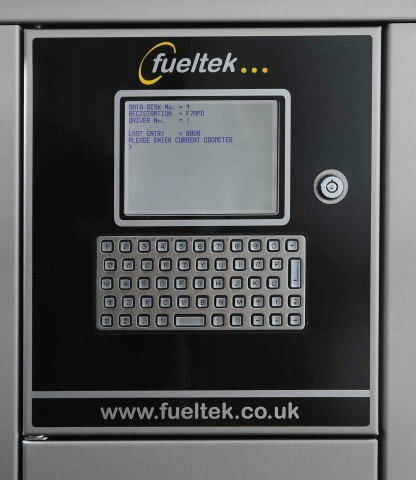 All FUELTEKaccess devices are programmed directly from FUELTEK FMO, you do not have to be in possession of the device to be programed, you can commit changes at FUELTEK FMO and the device will be updated the next time it is used in the FT4000 ( FACT). For reporting purposes data is uploaded from the FACT to FUELTEK FMO. Reports can be generated , viewed and / or printed from any location with internet access. 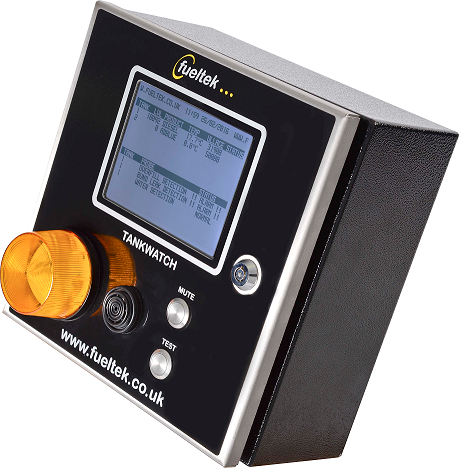 The FT4000 / FUELTEK FMO can support a number or communication methods. Most commonly we use GPRS modems to allow internet connectivity at the FACT. GPRS ( General Packet Radio Service) is a wireless data service and is a connectivity solution based on internet protocols. No call charges apply using GPRS as a small monthly rental fee covers an amount of data transferred. We can network Interface allowing the FT4000 to form part of a LAN / WAN. We can utilise Bluetooth, Wi-fi or even cable RS232 or RS485 to provide a route into your own Broadband connection if required. FUELTEK FMO incorporates a reports generator which gives you the ability to create and customise your own reports. The FT4000 Cabinet is manufactured entirely from stainless steel. The unit is sturdy, robust and designed to operate in harsh environments. 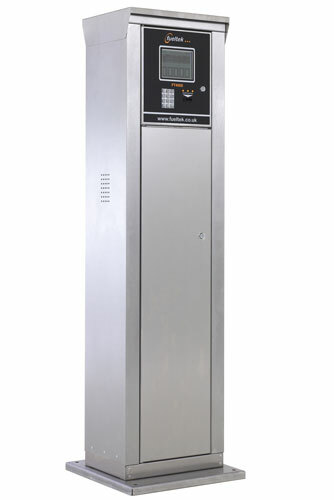 The FT4000 is available as a Pedestal Mounted Unit or a Wall Mounted Unit. The FT4000 is also available in FT4000P AND FT4000AP configurations please see relevant pages.